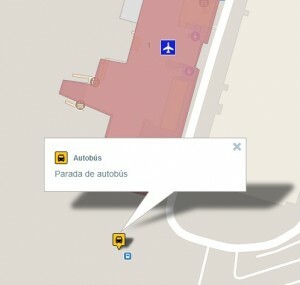 FROM APRIL TO OCTOBER: After collecting your luggage and exiting to the arrivals hall, turn right where you will be greeted by a From2 representative, wearing a yellow Shirt/T-Shirt. In the event of not finding a From2 representative follow the signs “Intermodal T1 (Tour Operators) behind the Café di Fiore. Use the electric escalators and go downstairs and once you’ve cleared the glass doors, turn right where you will find the From2 Office. Please wait here until attended to. FROM NOVEMBER TO MARCH: After collecting your luggage follow the signs to the downstairs exit door of the airport. When downstairs you must take the FREE SHUTTLE BUS T1-T2. Make your way inside Terminal 2B to the From2 Office which is found opposite checking desks 21 to 23 where you will find the From2 guides, wearing a yellow T-shirt. If there is no representative visible straight away please wait at the office for a few moments as they may be returning to the terminal from the transfer coach park. Your flight may come in to any of the 3 areas at Terminal 2, (A, B, or C). In the case of arrivals into Terminals 2A and 2C, after collecting your luggage you are to make your way outside the terminal and follow the signs to Terminal 2B. Make your way inside Terminal 2B to the From2 Office which is found opposite checking desks 21 to 23. Arrivals into Terminal 2B, after collecting your luggage please follow the exit signs to the arrivals hall, turn left towards the checking desks. Opposite checking desks 21 to 23 you will find the From2 Office, where you will be met by a From2 representative. If there is no representative visible straight away please wait at the office for a few moments as they may be returning to the terminal from the transfer coach park. After collecting your luggage, please exit into the arrivals hall, you will be met by a Representative holding a sign with your name and/or our company logo, identify yourself by showing your transfer voucher. PLEASE DO NOT MOVE FROM TERMINAL 2B.